Ananta Ramoutar is a highly accomplished law clerk with over 10 years of experience focused on Family Law. 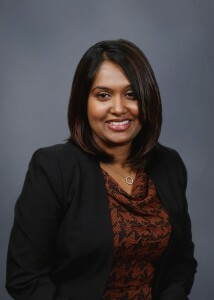 Ananta obtained her Law Clerk Diploma from Humber College and has been a certified member of the Institute of Law Clerks of Ontario (ILCO) since 2005. Ananta assists with the preparation of Court documents, including Financial Statements, and assembling Financial Disclosure Briefs. Ananta is responsible for the filing of documents at the appropriate level of court, balancing competing priorities and tight deadlines.